Prerak Jatak Kathao by Pratibha Shah. Book for Jataka Tales in Gujarati. 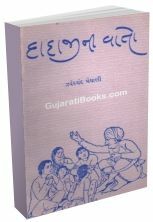 Inspirational & moral stories for children in Gujarati. We have a large section for child stories books in Gujarati language. Give a good habit of reading books to your child. Purchase at our website & we will deliver at your home any where in the world.